The agenda for SPIEF 2016, which is taking place on June 16-18 at a new venue for the first time in 20 years - at the ExpoForum Convention and Exhibition Centre - includes business forums of the Shanghai Cooperation Organization, BRICS, and the Business 20. 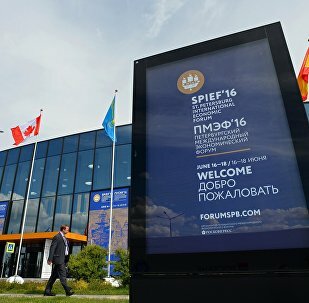 According to the organizing committee, the number of contracts at SPIEF is expected to be no less than in 2015 when the total volume of agreements reached 293 billion rubles ($4.4 billion). Ushakov said June 14 that the number of SPIEF participants would exceed 10,000 this year, compared to 7,500 in 2015. Russia's top oil producer Rosneft has signed deals totaling about $45 billion at the St. Petersburg International Economic Forum (SPIEF) last week, company's CEO Igor Sechin said Tuesday. About 332 agreements worth more than a trillion rubles ($15.7 billion) were signed at SPIEF. Overlapping international free trade deals may eventually liberalize trade across the entire Asian region. Trade associations in Asia-Pacific are the engine of business links and create an environment that fosters trade and investment, the head of the UN subregional office for North and Central Asia told Sputnik on Saturday. Several natural resourses transportation volume by means of the Northern transport corridor could reach 51 million metric tons by 2025. 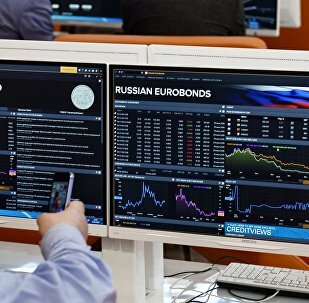 Russia may replace its reliance on commodities and mineral resources with human capital, the World Economic Forum (WEF)'s managing board member told Sputnik on Saturday. 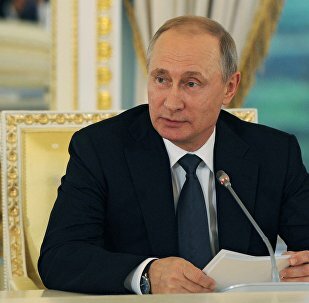 Russia prefers to have a strong Europe to cooperate with, Russian President Vladimir Putin said Friday. A new large Eurasian partnership project will put the regional economy on top, member of the Pakistani parliament Mian Abdul Mannan told Sputnik Friday. A free trade agreement between Russia and the EU would help resolve the current political crisis and improve relations between the two entities, according to a top manager of the major French-based multinational train-building company Alstom. 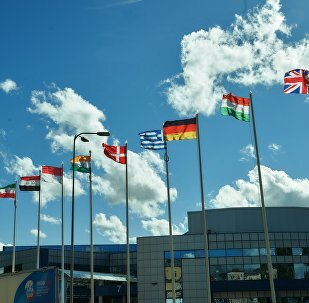 Several high-ranking officials, most notably European Commission President Jean-Claude Juncker and Italian Prime Minister Matteo Renzi, have participated in SPIEF for the first time since the introduction anti-Russia sanctions in 2014 and before their anticipated revision, which is expected to prompt a reset in EU-Russia relations. 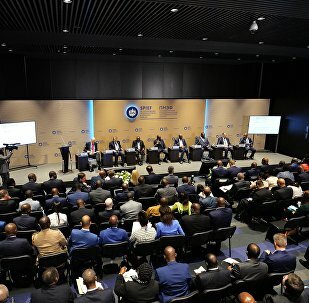 An array of senior Russian politicians, including President Vladimir Putin's press secretary Dmitry Peskov and Foreign Ministry spokeswoman Maria Zakharova, took part in a race held within the framework of the 2016 St. Petersburg International Economic Forum (SPIEF). Participants from the US and China are out in force at this year's St. Petersburg International Economic Forum, which is focused on the issues facing economic growth internationally, participants Alexis Rodzyanko of the American Chamber of Commerce in Russia and Sitao Xu of Deloitte China told Radio Sputnik. Rosneft and Italian Eni have signed a cooperation agreement on the sidelines of the St. Petersburg International Economic Forum, Claudio Desclazi, CEO of Eni, said Friday. 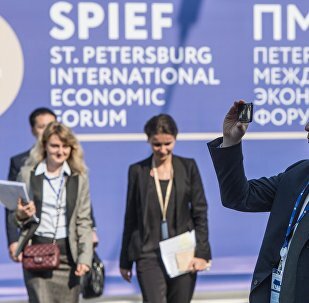 The very fact that European Commission President Jean-Claude Juncker has taken part in the 2016 St. Petersburg International Economic Forum (SPIEF) is a sign of Russia and the European Union moving toward normalization of bilateral relations, Vladimir Chizhov, Russia's ambassador to the European Union, said Thursday. Italy and Russia signed Thursday contracts worth 1.4 billion euros ($1.57 billion) at the St. Petersburg International Economic Forum (SPIEF) amid EU sanctions againt Russia, Italian media reported. 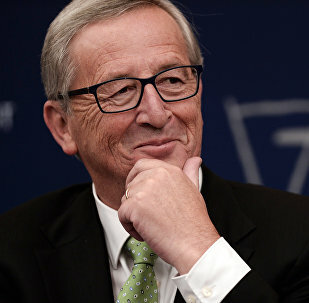 European Commission President Jean-Claude Juncker on Thursday said that he likes being at the 2016 St. Petersburg International Economic Forum (SPIEF) in Russia despite some people disliking the idea of his participation in the forum. The Prime Minister of Iraqi Kurdistan, Nechirvan Barzani told Sputnik on Thursday that he was planning on holding a meeting with Russian Foreign Minister Sergei Lavrov on the sidelines of the St. Petersburg International Economic Forum.